Dr. Alaina Adams is a National Board Certified Teacher and Assistant Principal in the Phoenix Union High School District who has taught a variety of English Language Arts classes, including Advanced Placement classes, English Language Learning (ELL) classes, and English 101 and 102 at the community college level. 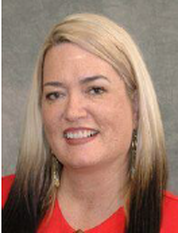 She also mentors teachers on her campus, district, and across Arizona as they engage with the National Board Certification process, and she actively engages in action research to study how teacher leadership can develop a quality pool of future educators and advance the teaching profession. You can learn more about Alaina by reading her education blogs here: http://www.storiesfromschoolaz.org/author/alaina-adams/.